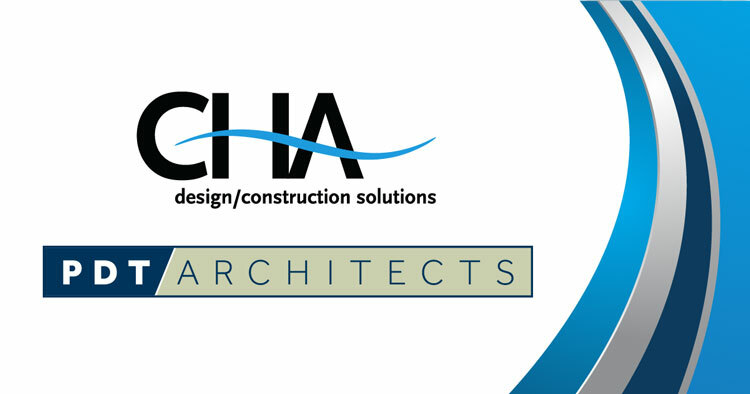 Albany, N.Y. — CHA Consulting, Inc. (CHA) acquired PDT Architects (PDT), a full-service, community-based architectural, interior design, and planning firm of 25 employees based in Portland, Maine. PDT specializes in providing sustainable, high-performance design services to K-12 schools, health care facilities, corporations, municipalities, colleges and universities, and auditoriums and theaters in and around Portland and surrounding New England towns and cities. CHA will actively support PDT’s structure, processes and vision during this transition while allowing PDT to continue to manage daily operations. However, CHA and PDT will work closely together to maximize the expertise of both firms in order to enhance our ability to provide world-class engineering and architectural services to CHA’s and PDT’s clients. PDT joins the CHA family of companies including CHA Tech Services, Novara GeoSolutions, American Fire Protection, and Gryphon Engineering.